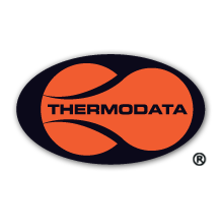 Thermodata Pty Ltd provides reliable temperature monitoring solutions suitable for applications in the transportation and storage of temperature sensitive goods. Monitoring and analysis for safety. Monitoring the temperatures of refrigerators, freezers and incubators. ThermoLoggers for temperature and humidity monitoring with the visibility of a clearly marked tag. A wide range of Thermochron iButton® loggers based on 1 Wire® technology defined by Maxim Integrated Products. Calibrated temperature loggers. Our laboratory is accredited to ISO/IEC 17025. A variety of hardware and data collection solutions.